Ms. Miller received her bachelor's degree from the University of Maryland in 1990, majoring in Criminology and English. She graduated from the University of Baltimore School of Law in 1995. Following graduation, Ms. Miller had a judicial clerkship with the Honorable William B. Spellbring in the Circuit Court for Prince George's County, Maryland. After her clerkship, Ms. Miller was an in-house attorney for Nationwide Insurance for 10 years as a trial attorney, trying hundreds of cases in courts across Maryland and the District of Columbia. 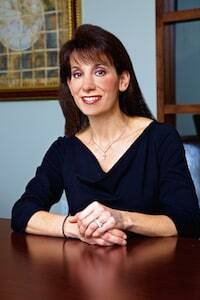 She now uses her inside knowledge of how insurance companies work to fight on behalf of personal injury victims in Maryland and in Washington D.C.
Ms. Miller is a lawyer licensed to practice law in Maryland and the District of Columbia. She is a member of the Prince George's and Anne Arundel County Bar Associations. She serves as the co-chair of the Membership Services Committee for the Maryland Trial Lawyers Association. She has served as a mock trial coach to high school students in Prince George's County and at Severna Park High School. Ms. Miller leads a woman's Bible study, enjoys weight lifting and studies Tae Kwon Do.